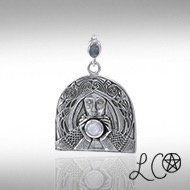 From the Quests of Arthurian Legend, the Holy Grail bestows eternal youth or prosperity. 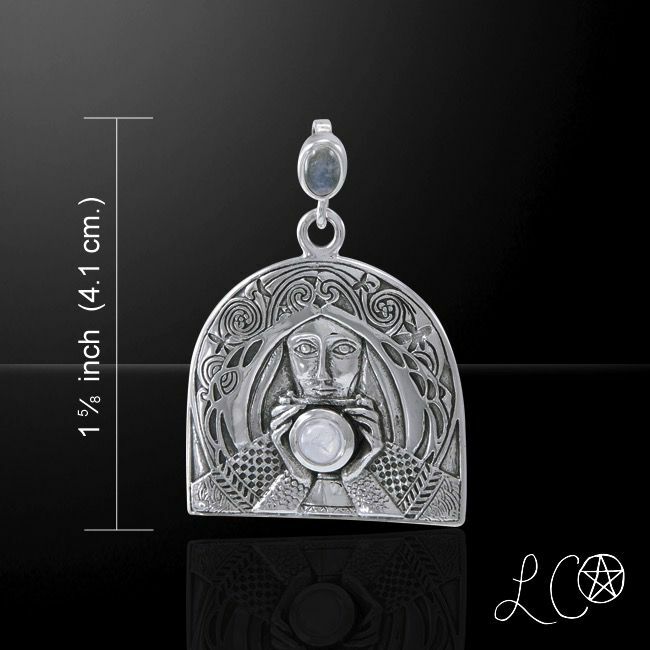 Including rainbow Moonstone gemstones, this enchanting, handcrafted Sterling Silver Grail Knight Pendant was divined and designed by celebrated author, High Priestess, and "Official Witch of Salem, MA", Laurie Cabot. 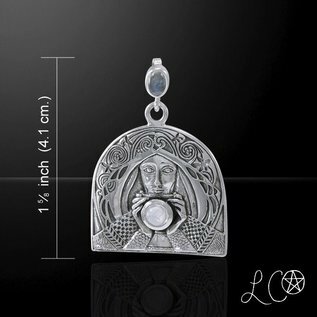 This pendant is 1 5/8 inches.